Since its introduction two years ago, the Nissan Juke has certainly gotten noticed. With its eye-catching design and dynamic performance, the Juke is hard to ignore. However, Nissan is giving the Juke a more stealth appearance with the new Midnight Edition accessory package available on the 2013 model lineup. Now in its third year of production, the Nissan Juke continues to offer something different for those drivers seeking a head-turner on the road. Upgrades to the 2013 Juke include a RearView Monitor with the Navigation Package, a revised audio system, and the addition of three new exterior colors: Atomic Gold, Brilliant Silver, and Pearl White. The Midnight Edition features Sapphire Black mirror caps, a Sapphire Black rear spoiler, and unique 17” Black Wheels. Nissan dealerships nationwide will begin receiving the 2013 Juke Midnight Edition in September. 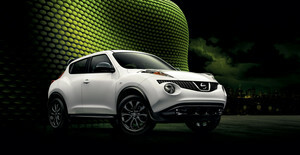 Watch for the 2013 Juke to arrive soon at James Ceranti Nissan, http://jamescerantinissan.net/New-Inventory.aspx. 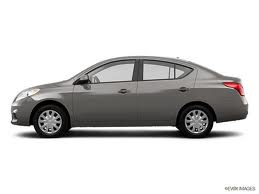 The Nissan Foundation has been distributing funds to over 100 nonprofit organizations since 1992. Organizations that have received grants from the Nissan Foundation are those that highlight a great appreciation and understanding of America’s diverse culture heritage through educational programs. During a special luncheon last week to commemorate the Nissan Foundations’ 20th anniversary, 26 nonprofit organizations from around the country were awarded grants totaling $655,000. Each organization recognized at the luncheon exhibit a strong commitment to promoting cultural diversity in their communities.